Sushi By Simon was featured by "The Daily Glow" on hit lifestyle site LittleThings.com Check out our segment below! Sushi By Simon on "The Daily Glow", by LittleThings from simon feil on Vimeo. 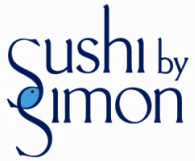 Sushi By Simon has also been featured by many news outlets and trend setters such as New York Daily News, The Food Calendar, and The Intelligence Group as well as numerous food blogs. Sushi By Simon is a recurring guest on Martha Stewart Living Radio. Check out CNN’s coverage of Sushi By Simon! Our Small Business feature can be seen here. Some great photos of our staff and students!